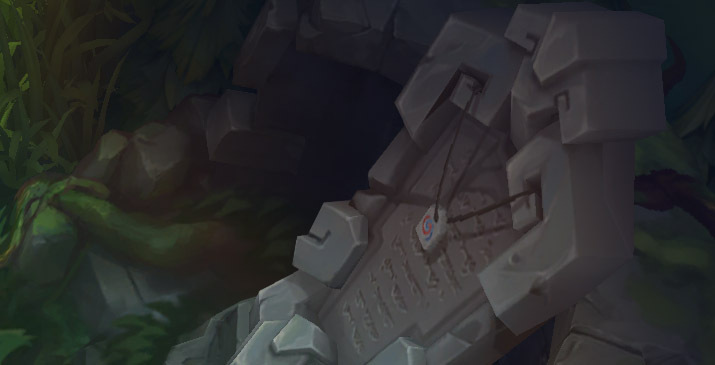 Detailed view of League jokes: Summoner's Rift and Howling Abyss secrets, champion hidden passives, events and interections. There are hidden within LoL jokes made by Riot Games (easter eggs), events which trigger on specific conditions and champion passives associated with their lore story. Each of them has a minor impact on the gameplay and in this guide we will look at them in more detail. This event is about confrontation of Rengar against Kha’Zix (two champions who is often used during lol elo boosting) and the only easter egg that has serious gameplay impact. Kha’Zix has to spend all three evolution points thus it can’t happen until he reach level 16. Rengar should have 12 stacks on his Bonetooth Necklace. Quests starts only when every player in the game is alive. When event begins all players will receive “Quest Received” notification. “The Hunt Is On!” can’t happen more than once per game. Rengar should take part in Kha’Zix slain (assist counts) to become the ultimate hunter. Kha’Zix the only beast who have escaped Rengar according to the lore story. 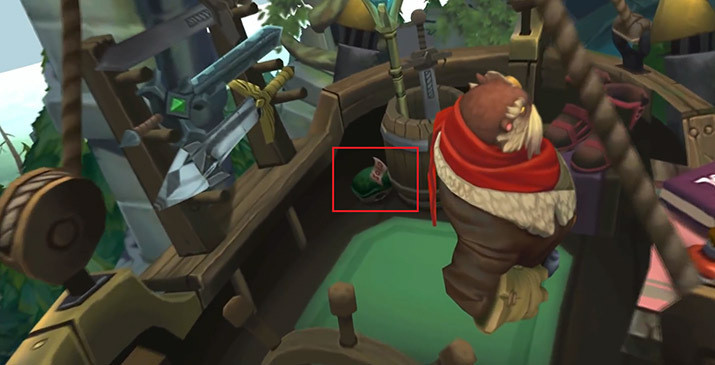 If Rengar reach his goal first Bonetooth Necklace (unique item in Rengar‘s trinket slot) is replaced with an item called Head of Kha’Zix. It provides advantages of full stacked Bonetooth Necklace and increases Rengar‘s vision in the bushes. Rengar gains flat movement speed while out of combat or while in brush. Unseen Predator’s range is increased by 125. Thrill of the Hunt stealth duration is increased. Thrill of the Hunt‘s bonus movement speed is doubled. Vision in bushes is increased. 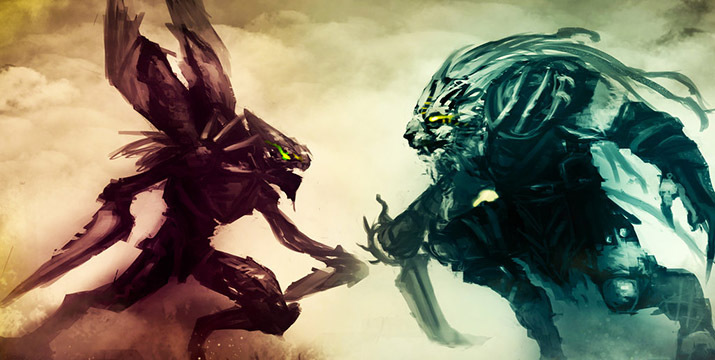 Kha’Zix should take part in Rengar slain (assist counts) to become the ultimate predator. Kha’Zix wants to devour Rengar, his greatest prey. If Kha’Zix reach his goal first he gains fourth evolution point. This allows Kha’Zix to evolve each of his abilities. There are three champions in this event who confront each other for the Queen of the Freljord title: Ashe, Sejuani and Lissandra. Main reason of this event according to lore is that each of them want to rule Freljord but have different views on how this should be done. The summ of kills and assist of each champion involved in quest should be at least 20. Sejuani decide who will participate in the event). Winner of the event receives a crown above the head until the end of the game (crown doesn’t disappear on death). Against Sejuani: Sejuani cannot be reasoned with. Ashe must defeat her to build a better future for the Freljord. Against Lissandra: Lissandra is an abomination. Ashe must eliminate her to protect her people. Against Sejuani: Peace has been restored to the Freljord. Ashe will lead her people to a better future. Against Lissandra: The natural order of the Freljord has been restored. Ashe will lead her people to a better future. Against Ashe: Ashe’s peaceful alliance must be broken. Sejuani must kill her and rule with strength. Against Lissandra: Lissandra is an abomination. Sejuani must crush her to purify the Freljord. Against Ashe: Weakness has been purged from the Freljord. No one challenges Sejuani’s rule. Against Lissandra: The Freljord has been purified. No one challenges Sejuani’s rule. Against Ashe: Ashe’s is a powerful symbol for her people. Lissandra must kill her, so they will fall in line. Against Sejuani: Sejuani is too reckless and powerful to control. Lissandra must put her down. 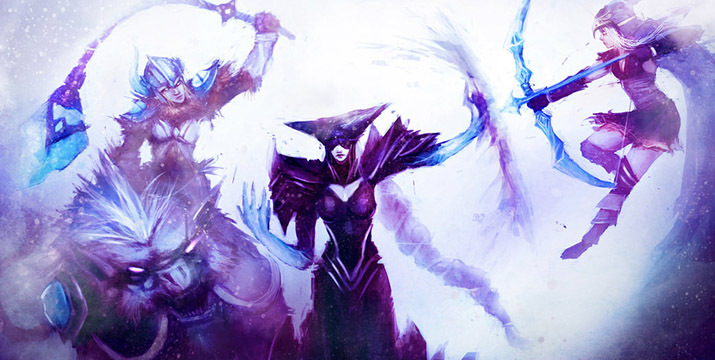 Against Ashe: The Freljord tribes are under Lissandra’s control. The rise of the Iceborn is at hand. Against Sejuani: No one is strong enough to stop Lissandra. The rise of the Iceborn is at hand. Some of neutral monsters would like to dance with you. Look at this Blue Sentinel who dances only with Popstar Ahri. As you can see in the video Vilemaw copies Carlton dance from The Fresh Prince of Bel-Air sitcom (1990 – 1996). Sunlight does not deal additional 1 damage to Neon Strike Vi. This is the reference to well known movie with Tom Hanks and Leonardo DiCaprio. Whenever Jinx and Caitlyn / Vi (or they both in same moment) are in opposing teams, each of them gain “Catch me if you can!” cosmetic buff. Jinx as criminal has next buff description: “ Caitlyn and Vi are chasing you. How fun! Cops Outsmarted:” followed by her total number of Caitlyn / Vi kills/assists. Caitlyn and Vi as cops have next buff description: “ Jinx is causing chaos again. How obnoxious… Criminals Apprehended:” followed by their Jinx kills/assists. On each kill or assist of their targets, participants of the event gain 1 additional gold. If Caitlyn and Vi are in the same team they receive the buff On The Case: “Piltover’s Finest” and gain additional 1 gold each time they score a kill together. This is reference to popular game in tower defense genre. Sion and Karthus on one side and Zyra on other each gain 2 additional gold when they kill their rivals. When Zyra hit by Leona’s Sunlight, Zyra and her plants starting to glow slightly. When Maokai passes very near to Zyra he gains 1 movement speed buff. Cougar is slang term which means women who seeks for sexual relations with considerably younger men. Nidalee provides +5 experience every 5 second to nearby champions whose level is lower than her. If you spend 12 seconds in bush without any move, Skarner may say: “Skar Skar Skarner!“. This is reference to a pokemon anime. If Fizz’s Chum of Waters makes a final blow to the tiny champions ( Teemo, Poppy, Annie etc) there would be no corpse left. There are hidden secrets and references you can find on the map. There are some hidden tricks mostly referred to poros. Excalibur :D I want to see how it is on sale in the lol shop! This little bath duck is nice thing, never seen it in real game. 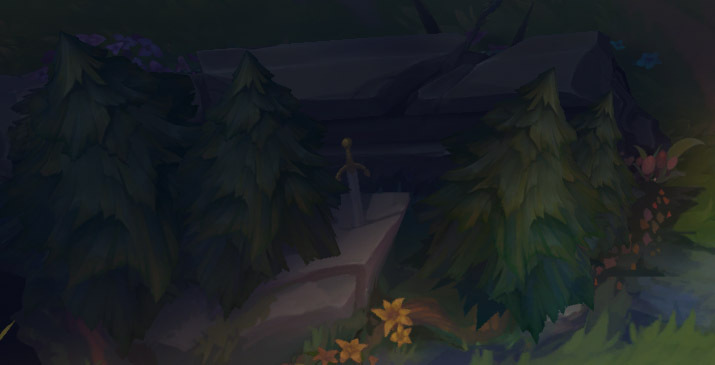 Didn’t notice this suicidal frog either, seems like there are really many hidden secrets in league. Developers really love their game, i love this attention to the details from them. New summoner’s rift is awesome, really like how this maps look like. If you kill braum using kog’maw , you’ll see braum’s corpse flopping like a fish for about 1.5 seconds after death. OMG, that’s all really funny. But don’t those mini-quests like Kha’Zix and Rengar have doesn’t affect the balance? Or these mini-quests don’t work in the ranking queue? I’m just thinking about that OP Kha’Zix wich’s EVERY ability is evolved. Oh my gosh. That is a really strange quest. And i really want to shake a hand to those developers who made these fantastic, hilarious and just great bonuses in their games. They bring the soul into the game. kek, developers really know what we, players, need! These easter eggs are hilarious, and I really love how greatly they fit all of them into a game! It’s on the red side (right part of the map). It respawns on the first minutes.